↑ "東京都歌・市歌". Tokyo Metropolitan Government. मूल से September 11, 2011 को पुरालेखित. अभिगमन तिथि September 17, 2011. ↑ 都庁の所在地 Archived अप्रैल 19, 2014 at the वेबैक मशीन. 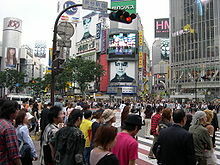 Shinjuku is the location of the Tokyo Metropolitan Government Office. But Tokyo is not a "municipality". 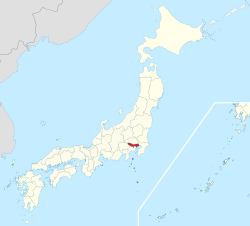 Therefore, for the sake of convenience, the notation of prefectural is "Tokyo". ↑ "平成27年 毎月1日現在の推計". Tokyo Metropolitan Government. अभिगमन तिथि January 17, 2015. ↑ "TOKYO STATISTICAL YEARBOOK". www.toukei.metro.tokyo.jp. ↑ "Yearly Average Rates - OFX". मूल से March 16, 2015 को पुरालेखित. ↑ "GaWC – The World According to GaWC 2008". Lboro.ac.uk. April 13, 2010. अभिगमन तिथि October 29, 2010. ↑ "2015 Cost of Living Rankings". Mercer. Mercer LLC. June 17, 2015. अभिगमन तिथि October 17, 2015. ↑ "Uptown top ranking". The Economist. June 17, 2015. अभिगमन तिथि October 17, 2015. ↑ "टोक्यो की जनसंख्या". टोक्यो महानगरीय सरकार. अभिगमन तिथि 2009-01-01. ↑ "टोक्यो सांख्यिकीय वार्षिकपुस्तिका २००५, जनसंख्या". ब्यूरो ऑफ़ जनरल अफ़ेयर्स, टोक्यो मेट्रोपॉलिटन गवर्न्मेन्ट. अभिगमन तिथि 2007-10-14. 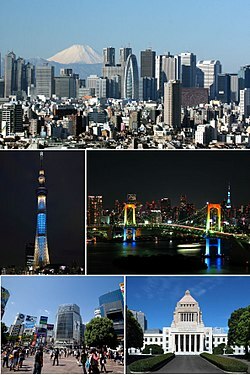 ↑ अ आ "Sister Cities (States) of Tokyo - Tokyo Metropolitan Government". अभिगमन तिथि 2008-09-16.